The Centre of Cultural Heritage accepts under-graduate and post-graduate students, and other interested persons holders of a Bachelor, for internships on various matters within the area of activities of the Centre and also within the general sphere of the Cultural Heritage Studies. Applicants may come from the majors of Art History, Archaeology, History, Philology, Theology, Cultural Heritage Studies, Natural Heritage Studies, Museology, Conservation and Restoration and other correlated fields. More specifically internships may concern cultural heritage management, architectural heritage management, archaeological sites management, historic monuments management, natural heritage management, theory and practice of restoration and conservation, the recording, archiving and studying of the cultural heritage, and theoretical subjects on art history and archaeology. Applicants must send a letter explaining their interest and attach a copy of their Bachelor, or M.A. or PhD. Under-graduate students must provide also a letter of recommendation by one of their professors from the university of their origin or an attestation of their university attesting at which level of studies they are. The duration of the internships is normally two semesters, but it can be extended according to the needs of the students. The fees are 800 Euros per semester. At the completion of their internships, students are given the opportunity, if they wish it, to present the results of their research and specialization and/or field of acquired experience at a lecture with power point presentation open to the academic community and to the public. A certificate is given at the completion of the internship. Hanan Nairouz Fahmy, an Egyptian student, made an internship at CCH for experience on the Cypriot icons, after graduating at the Univerisity of Cairo and having finished the course "Scientific Principles for Conservation" at ICCROM, Rome. 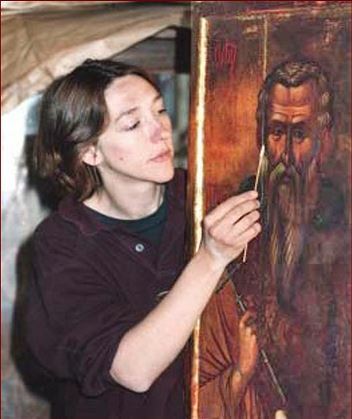 She stayed at CCH for two months and restored the 13th century icon of the The Ascension of Prophet Elijah during January and February 1994. Vojislav Lukovic, Serbian, was working at the National Museum at Belgrade and came in Cyprus, after the embargo against Yugoslavia in 1994. He stayed at CCH for his internship and worked on several icons, most especially on those selected to make part of the exhibition A L'IMAGE DE DIEU. ICONES BYZANTINES DE CHYPRE, that took place in France (Strasbourg and Mulhouse) in Summer and Autumn 1994. 6th of March, 2014. Susanne Dürr and Anita Wanner, swiss students at the SCHULE FUR GESTALTUNG, FACHCLASSE FUR KONSERVIERUNG UND RESTAURIERUNG GEMELDE at Bern, Switzerland, made an internship at the Centre of Cultural Heritage during the Spring Semester 1995. They restored the icon of Saint Nicholas, which is the worship icon at the Monastery of Agios Nikolaos ton Gaton (Saint Nicholas of the Cats) situated at the Peninsula of Akrotiri near LImassol. It is an important icon of the 18th century Cypriot production comprising a full-length figure of the saint in the middle and scenes from his biography and miracles around. Marco Morelli, Italian student at ISTITUTO ARTE ARTIGIANATO E RESTAURO in Rome, made his internship at CCH in Spring 1995. He worked on several icons and acquired experience on various issues concerning the disinfection, consolidation, cleaning and aesthetical presentation of the icons after treatment. Valentina Emmanuele, Italian student at ISTITUTO ARTE ARTIGIANATO E RESTAURO in Rome, made her internship at CCH in Spring 1995. She worked on several icons and acquired experience on various issues concerning the disinfection, consolidation, cleaning and aesthetical presentation of the icons after treatment. She later made a teaching career at the ISTITUTO ARTE ARTIGIANATO E RESTAURO in Rome. Jaana Loring, an American student, made an internship at CCH, after graduating at Palazzo Spinelli in Florence. She stayed in Cyprus in Automn 1995 and Spring 1996 working on several icons in the Atelier for Conservation of CCH. The most important icon she treated was a piece of an Altar of the Late 16th or 17th century depicting the Bust of Virgin Vlachernitissa. This endangered icon, abandoned in the Kumarcilar Han in the occupied by Turkey north part of Nicosia, was saved and brought to CCH for cleaning and conservation thanks to the efforts and initiative of CCH. 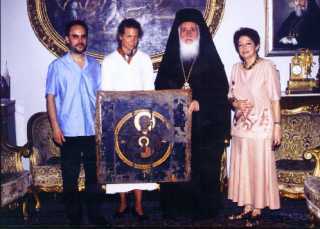 It is today exhibited in the Byzantine Museum of Makarios III Foundation in NIcosia. Gaëlle LE MEN, French student at the UNIVERSITE PARIS I, PANTHEION - SORBONNE, made her diploma thesis at CCH during Fall Semester 1998. 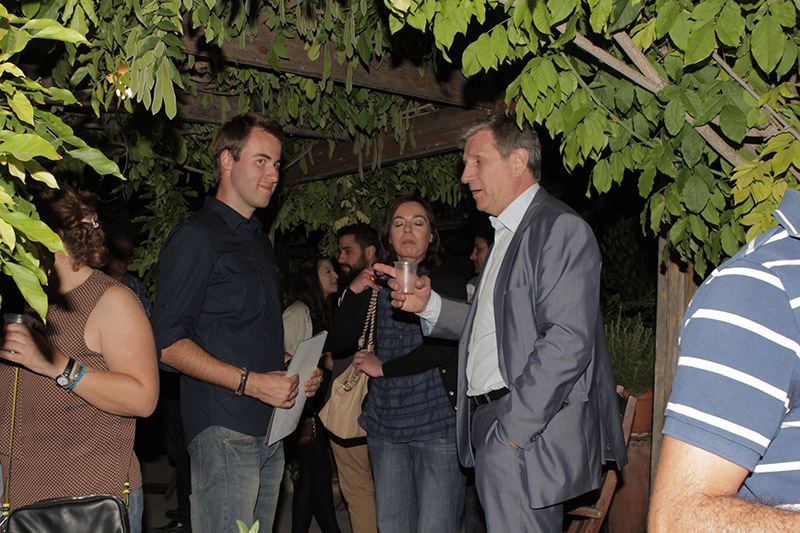 She came back the year after for a further internship and experience on Cypriot icons during Summer 1999. Angela Puryear McDuffie, an American student from the TRINITY WASHINGTON UNIVERSITY and student at GLS, University of NIcosia, made an internship at CCH during Fall 2007 on the topic "Historic Churches of Old Nicosia. Patterns in Society. The Power of Place Making", supervised by Professor Sophocles Sophocleous. 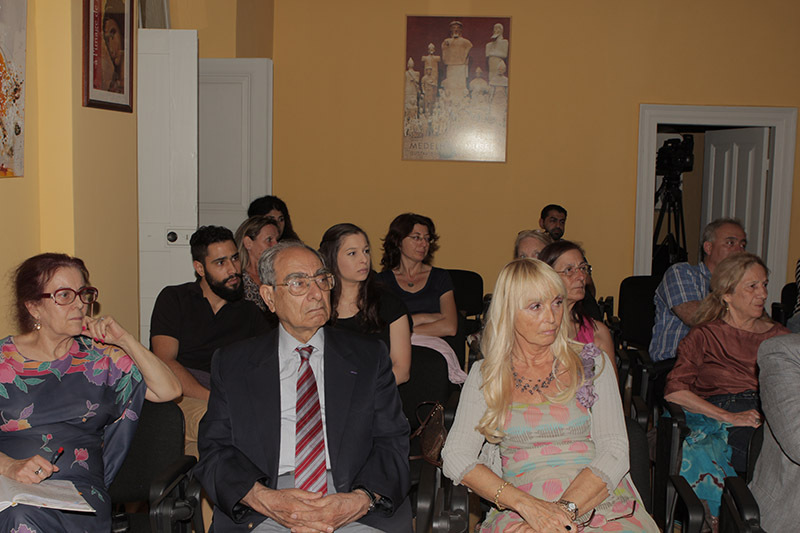 Laura Wolverton, an American student at GLS, University of NIcosia, made an internship at CCH during Spring 2008 on the topic "Historic Monuments and Museums in Old Nicosia", supervised by Professor Sophocles Sophocleous. 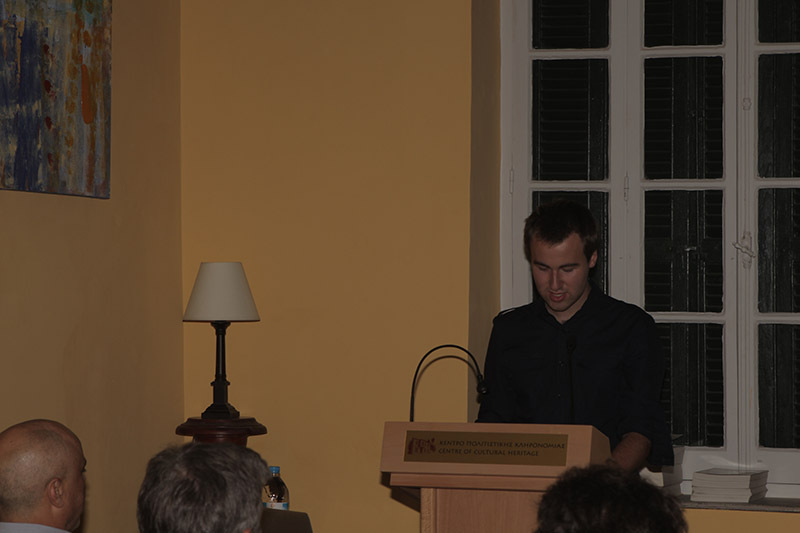 Aliaksandr Shuba, from Belarus, Erasmus Plus student from the European Humanities University in Vilnius, Lithuania and the University of Cyprus, made an internship at CCH in Fall 2013 and Spring 2014 on the architectural heritage of intramuros historic Lefkosia under the supervision of Professor Sophocles Sophocleous. He acquired experience in fieldwork recording and photographing of the architectural heritage and its digital archival management and interpretation. He thus prepared himself in persuing post-graduate M.A. 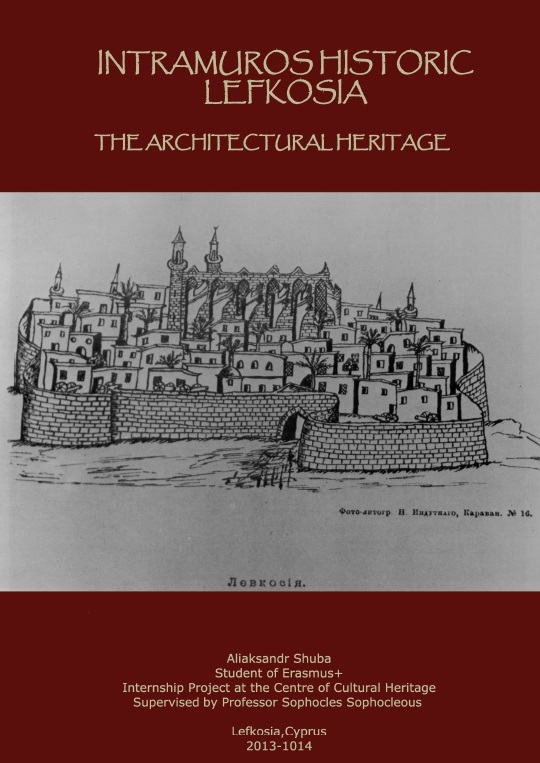 studies in matters of architectural heritage management. 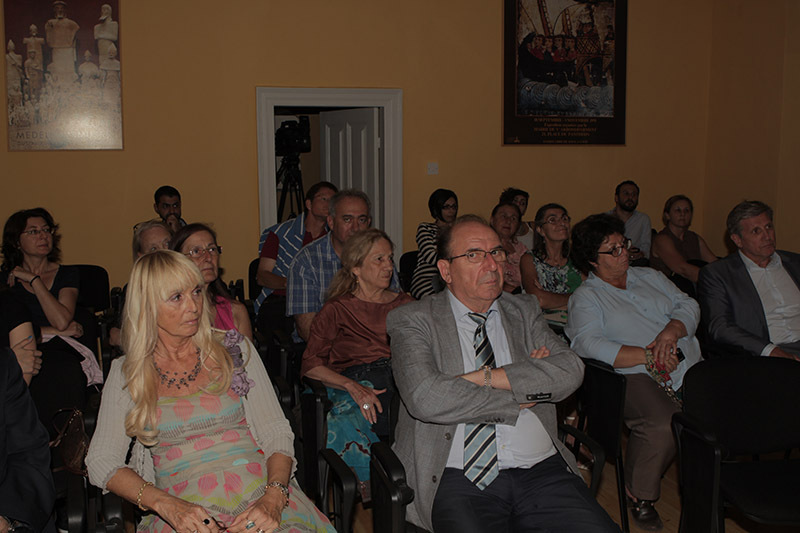 He presented the results of his research in a public lecture organised at CCH on the 14th of May 2014, introduced by the Associate Professor of the University of Cyprus Alexander Beihammer.